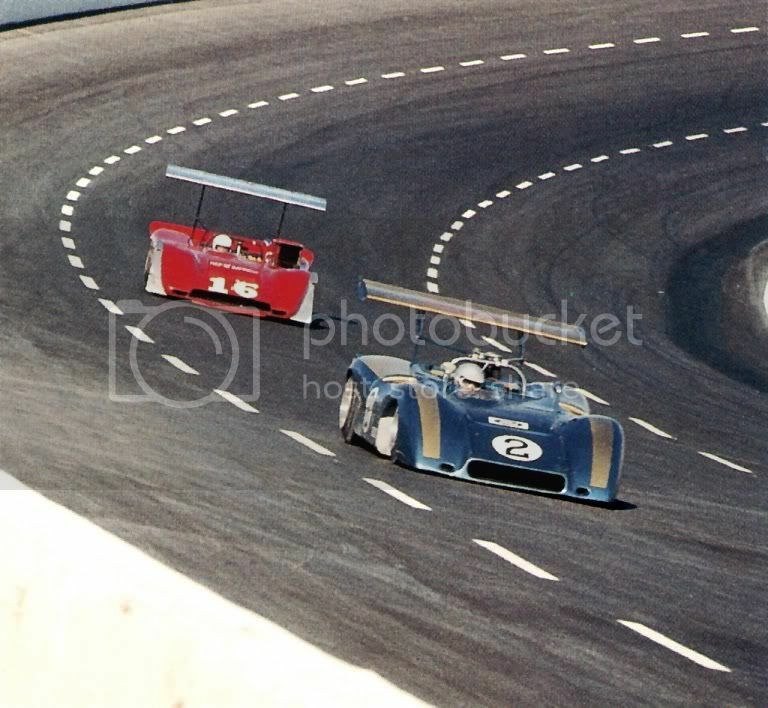 In my opinion, for what its worth, I consider the 1969 season to be the pinnacle of the SCCA Can-Am series. Despite the completely one-sided race results in which the McLaren team won all 11 rounds, 8 of which were 1-2 McLaren finishes, and at Michigan they even managed a 1-2-3 when Dan Gurney drove the spare M8B after his own car had failed in practice. But this was the last season in which the series really was devoid of the stifling enforcements that would that would slowly choke it over the following years, where the rule book was notably short of rules, which itself promoted free-spirited thinking. Just prior to the beginning of the season, the FIA outlawed the tall rear wheel hub mounted aerofoils teetering on spindly struts after several of these had failed in Formula 1. 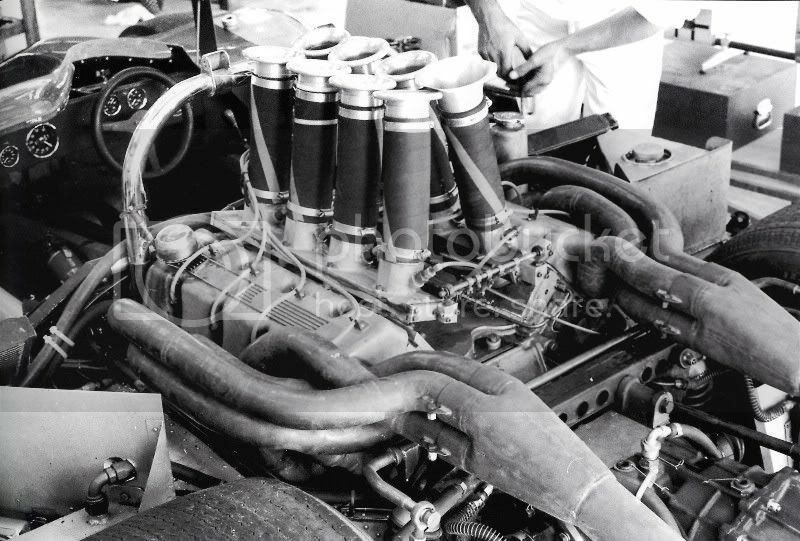 Fortunately, although the FIA would demand these aerofoils be gone by 1970, they accepted their immediate banning of the devices, on which several cars had been designed around, might do more harm than good. 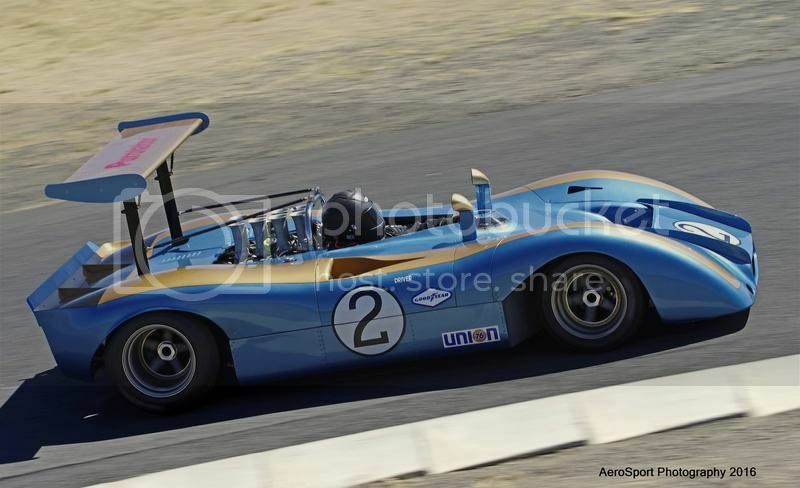 And so the '69 Can-Am became the year of the aerofoil. 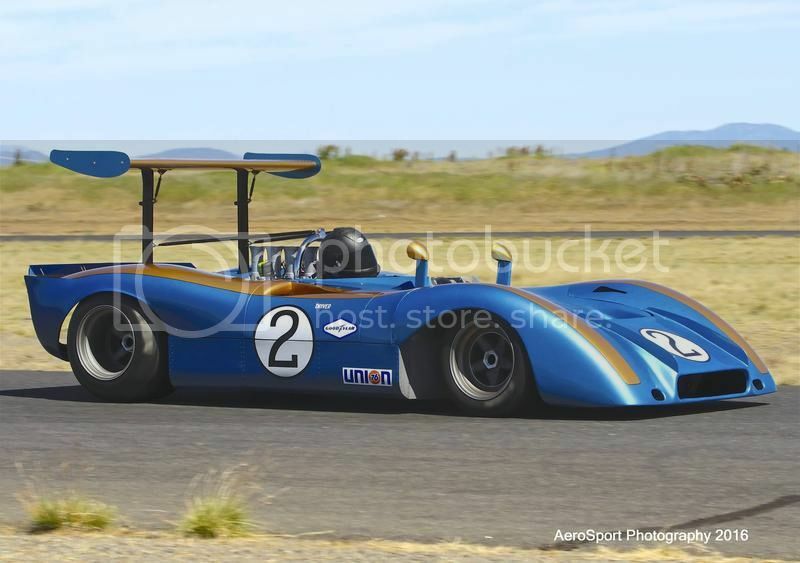 And is it coincidence that the last year of the free-spirited Can-Am seasons also produced arguably the most beautiful cars? The all-conquering McLaren M8B, the McLaren customer M12, which shared much of its silhouette with the M6 road car, the Autocoast Ti-22, the Lola T163, and the magnificent Ferrari 612P. To some, the chunky Chaparral 2H may not be considered beautiful, but I beg to differ. 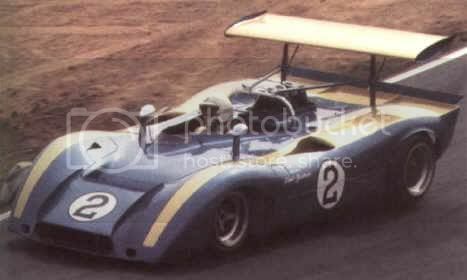 The 'white whale' may not have shared the slim lines of its competitors, or of earlier Chaparrals, but it was a striking looking car, particularly in its high downforce guise, with massive overhead wing fitted. 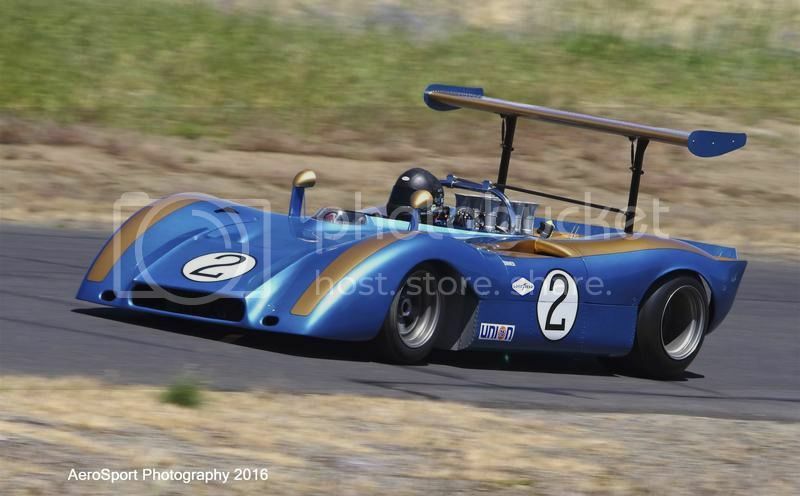 But to my mind, the most beautiful of all the cars of the 1969 Can-Am, for that matter, of all the Can-Am seasons, was the curiously named 'Open Sports Ford', which made its race debut at the penultimate round, at Riverside. Built by Alan Mann Racing, in England, the Open Sports Ford was a magnificent looking machine that epitomised everything the '69 Can-Am was about. Finished in a two-tone metallic blue and gold colour scheme, it featured 6-spoke wheels with centre spinners, and the obligatory hub mounted rear aerofoil. The tub was made of alloy, as was the body. Beneath its swoopy rear bodywork lay an alloy 494ci fuel injected Boss motor reportedly producing 740hp. 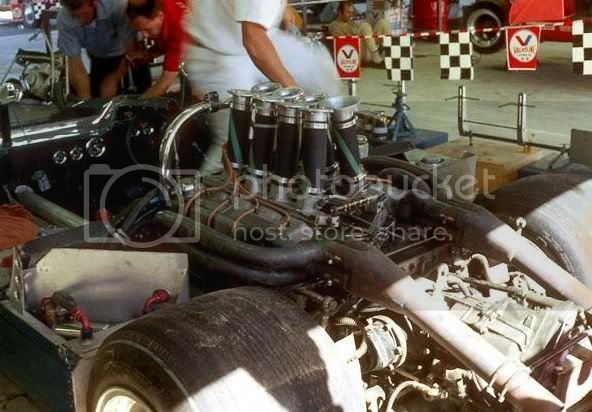 The Boss motor delivered its power to the 24” wide rear wheels via a Hewland LG600 5-speed transaxle. 0-100mph (160kph) was said to be achieved in 5 seconds. The Open Sports Ford, in its debut race, qualified 10th with Frank Gardner at the wheel, but retired early with suspension failure. 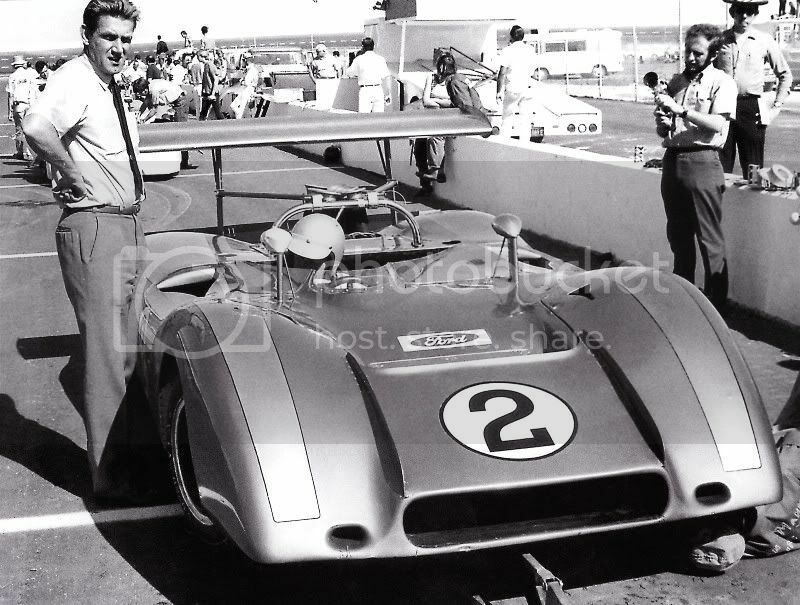 However, it returned for the final round of the '69 Can-Am season, at Texas International Speedway, driven by another Australian international racer, Jack Brabham. 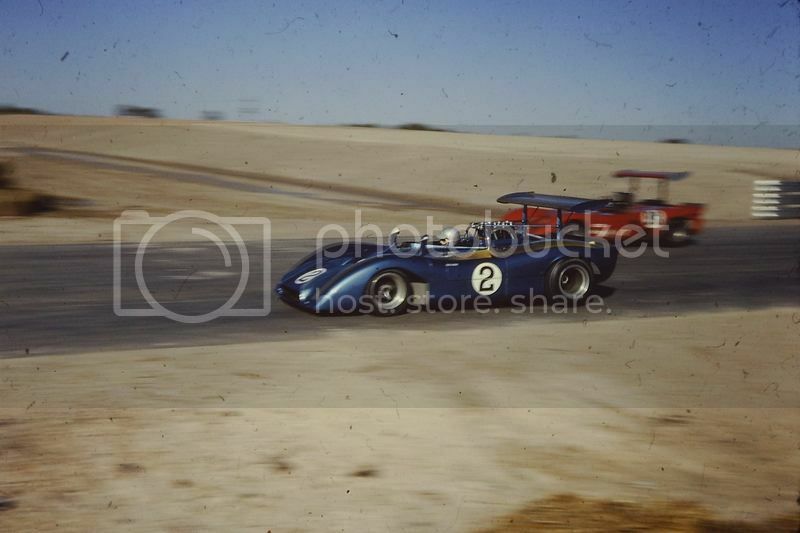 Brabham qualified 7th, and worked his way through the field to lie 2nd late in the race, until he was slowed by an engine oil leak which dropped him back to 3rd behind winner Bruce McLaren, and George Eaton, in a customer McLaren M12. Certainly, the potential was there. And yet, the Open Sports Ford vanished as quickly as it appeared. 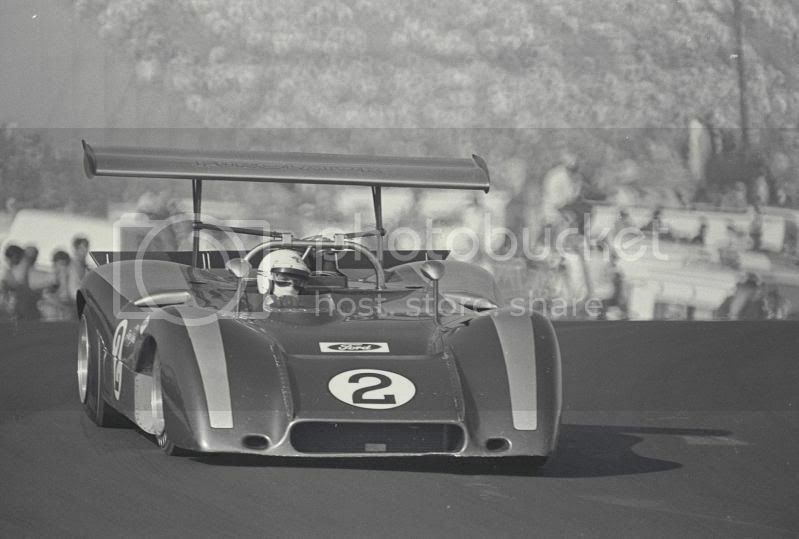 Perhaps a victim of Ford Motor Companies lack of commitment to the Can-Am, or its drastic racing budget slash for 1970, or Alan Mann Racing closing its doors at the conclusion of the '69 season, but the Open Sports Ford never raced again. I'd often wondered what became of the Open Sports Ford. Did it survive? Was it scrapped? Finding information on the car was damn-near impossible. And then, suddenly, I learned that not only had the Open Sports Ford survived, it had literally been rolled off the transporter following its second (and final) race, and parked up. One evening, back in 2008, a Can-Am enthusiast named Tim was scoping Ebay, looking for a Can-Am car to purchase. He'd followed several leads on various cars, all of which had come to nothing. 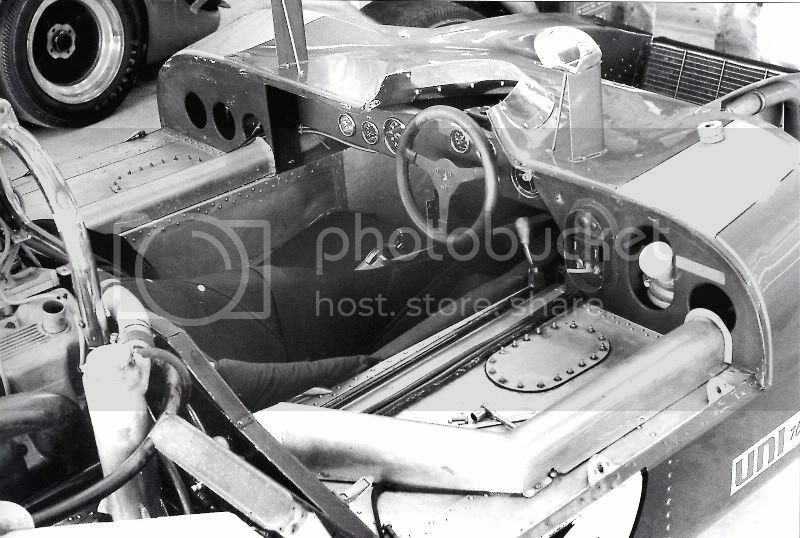 On this occasion, he accidentally stumbled upon an auction titled “Ford Canam racercar”, and when he went inside the auction, was immediately hit with a photo of the Open Sports Ford, at Texas, with Brabham at the wheel. He contacted the owner, and arranged to go view the car. On arrival at the sellers house, he found an overgrown property littered with cars and out-buildings, and was eventually led to a concrete block building with a plywood door. After yanking the door open, the inside of the building was dark and cramped, provided little natural light, and had no electricity. It was full of car parts, and after some of these were cleared, and some of the blocks were removed from the back wall to let a little light in, the Open Sports Ford revealed itself. What sat there was the ultimate 'barn find'. The car was completely original, still wearing the paint of its last race at Texas, in 1969. The engine had been changed at some stage, but other than this, the Open Sports Ford was complete and original, and still wore its 1 of 1 chassis tag. 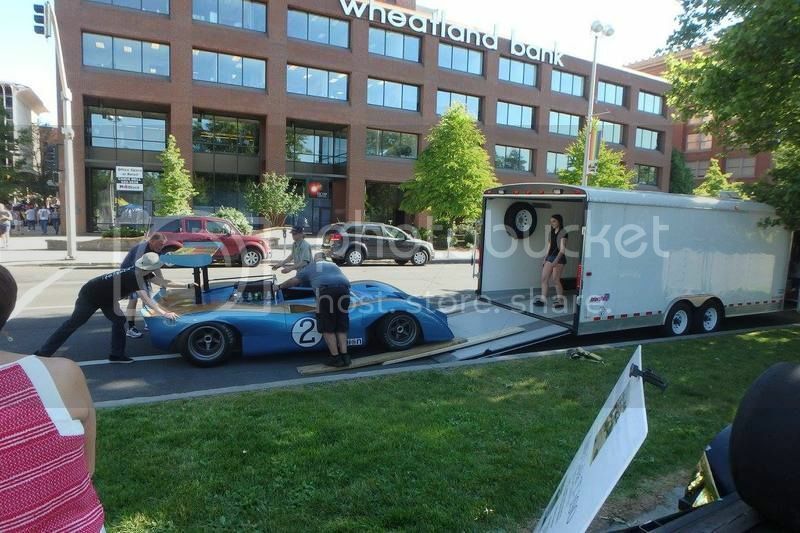 Tim did offer to buy the Open Sports Ford, but another buyer ended up getting it instead, and Tim later found himself a Lola T310, the 1972 Lola factory car, as driven by David Hobbs. It may have passed into the history books as just another “what might have been”, and we'll never know its true potential, but at least the Open Sports Ford survives, and more than that, is original and intact. Here are Tims 'as found' photos. Now that what i call a "real" engine!! OH OH AR AR is how Tim(the tool man)Taylor would say it!! Man that is way cool,so who did buy it and where is it now? Wouldnt it be great to see that out here at The Festival! Not sure who bought it but it was photographed at a historic event more recently, although it didn't race. 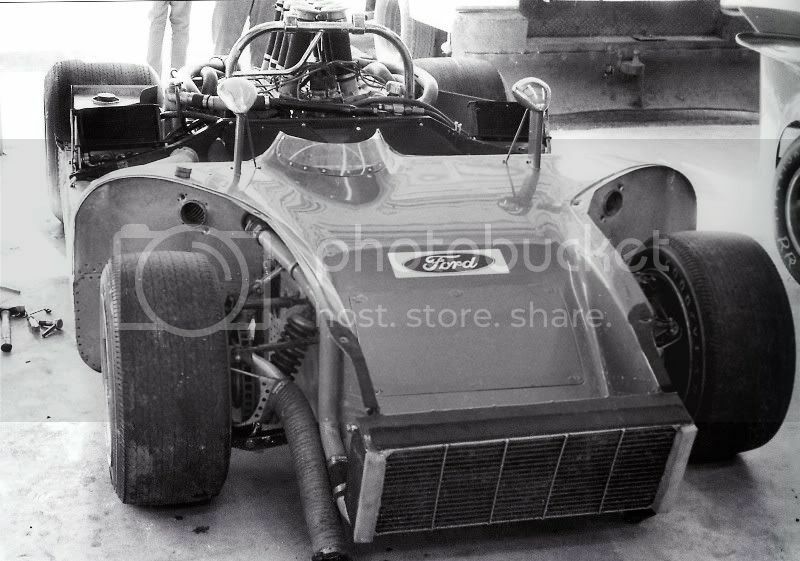 Here is a picture of the Open Sports Ford at the 1969 Texas Can-Am. This picture is in the February, 1970, edition of AUTO RACING. Thats a really great photo Chad, thanks heaps for posting it. Eaton would eventually hunt down the OSF and finish second. I've always loved this car too - such a good looking beast and with 494 cubic inches of aluminum awesomeness one can only image what it would have been like to drive it. It looks fantastic, but that airbox? 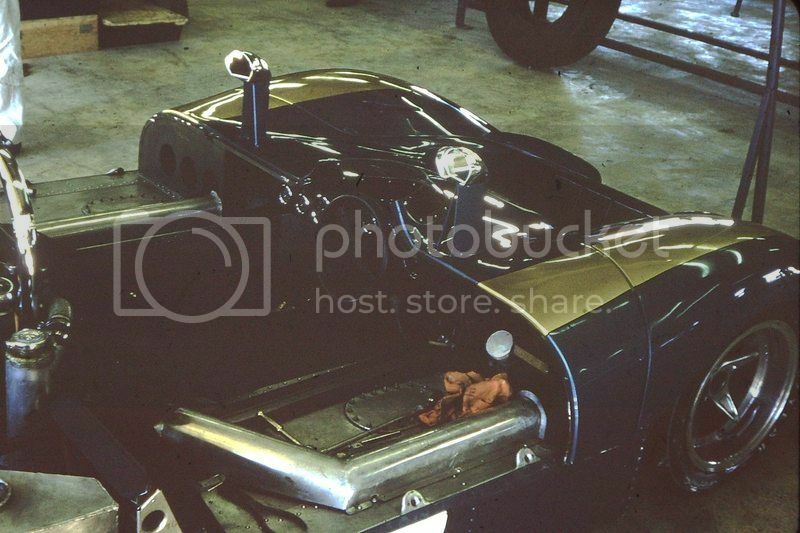 I have other photos of the car that I need to scan from a Can-Am book that shows the car in more detail - and also the G7A. Will dust off the scanner and post them up soon. What about the 4 barrel when most of the action shots show the more usual 8 trumpets? My understanding is that the engine was removed, and the one now in the car isn't the original, hence the carb. Also, that airbox was just sat there, for whatever reason. Its completely unrelated to the car, isn't even the right shape for the opening. Built by Alan Mann Racing designed by Len Bailey, engine by Holman and Moody. Had the car been built and tested pre-season and developed properly as the McLarens were the car may have done well, it certainly showed potential. But, I guess the same could be said for a lot of the CanAm field, if they had gone about things as McLaren did the results for the series could have been so much different. Wow, those are sensational Gavin! The most detailed pics I've ever seen of this car. Thanks for posting. Yep, like you say, motorsport is littered with stories of cars that never realised their true potential through lack of development and/or time. 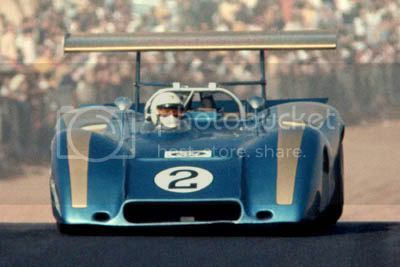 The Peter Bryant designed Ti22 driven by Jackie Oliver was another example of this from the '69 Can-Am season. 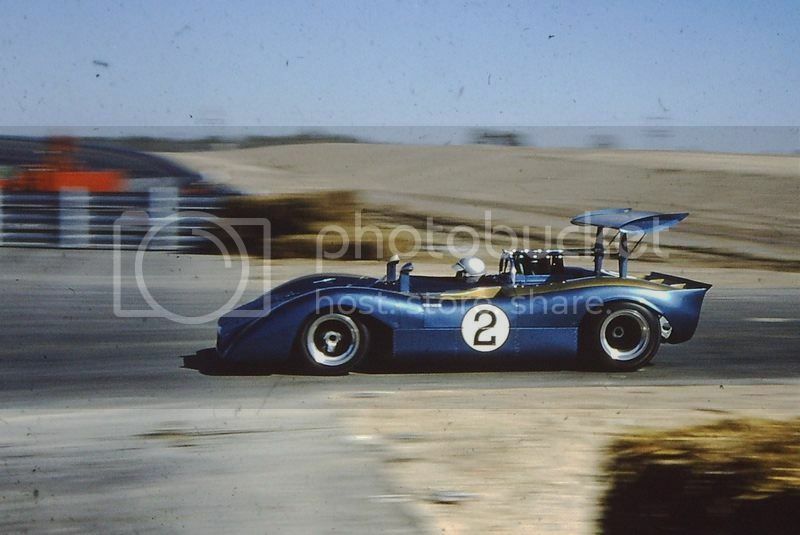 Interestingly the car only raced twice, it arrived for Round 10 of the 1969 CanAm at Riverside driven by Frank Gardner, qualified 10th, got up to 5th during the race and retired with a broken half shaft. 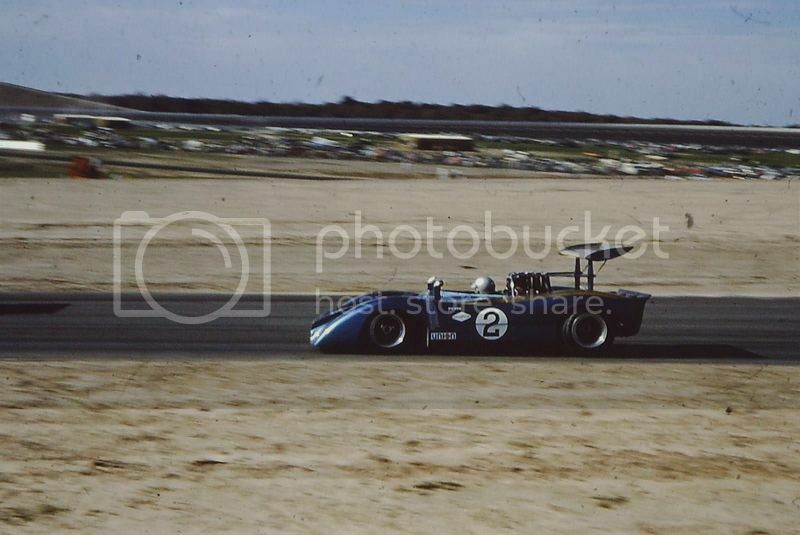 At Round 11 in Texas, Jack Brabham drove, qualified 7th and finished 3rd. Now, by Texas some of the regulars cars were probably getting tired, but it was still a great result and I guess another motor racing if only! By the way the engine apparently had a special magnesium block which probably explains why the original engine is no longer with the car. Re the Ti22, the book 'CanAm Challenger' written by the late Pete Bryant is a must read for anybody interested in CanAm racing. Last edited by pallmall; 04-18-2012 at 11:08 PM. I didn't know that about the magnesium block! Amazing! Yes, you're right about the attrition rate at Texas. They used part of the high speed Texas speedway, which would have added more strain to some already tired race cars. 24 cars started, 12 finished, including only one McLaren team car, which definitely helped Brabham. He was actually running second late in the race but was slowed by an oil leak and slipped to third.